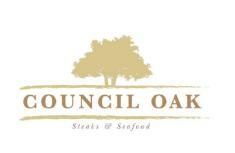 Exquisite Cuisine and More at Council Oak Steaks & Seafood! Hey Tampa! Kristin here to tell you about the exquisite cuisine being served up at Council Oak Steaks & Seafood! Located in the Seminole Hard Rock Hotel & Casino. Come out and experience the fine dining ambiance of Council Oak, named after the ancestral oak tree where the Seminole leaders would meet to discuss tribe affairs. Council Oak specializes in the finest USDA steaks and seafood, all of the top end meat coming from their very own butcher shop and seafood from local waters. Maine Lobster is also a signature feature. In addition to the extensive menu offered, there are over 300 wines to choose from the intimate wine bar. This local gem has been rated highly by Zagat, as well as one of the “2011 Hot 10 Tampa Bay Restaurants” by Gayot, The Guide to the Good Life. The restaurant has also been awarded the Award of Excellence by the Wine Spectator Magazine. Check out this sneak peak of some their signature dishes on the menu! Come out to Council Oak, and enjoy this fine dining experience! That&apos;s all for now, but stay tuned in for more Tampa Bay dining and foodie related updates!